We have one of a kind custom guitars ready for shipping. If you find something you are interested in and would like additional information or photos please use our contact page. Full Spec from $2250 - Choose any of our existing designs and then have fun planning the guitar of your dreams. 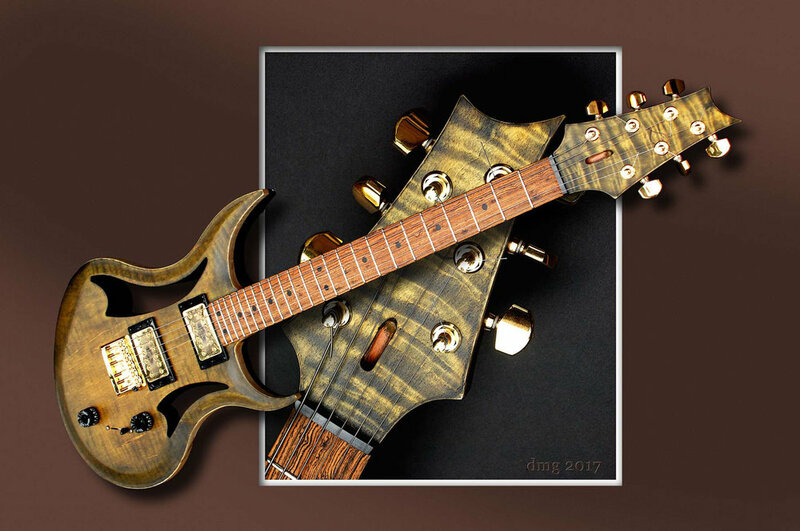 Tone woods, hardware, scale and radius, neck width, # of frets, and more. Some limitations apply. Full Custom from $2750 - Just as it sounds you are the designer and we will help in any way we can to completely design and build the guitar of your dreams. The base price includes your body design and an array of quality standard options. Please keep in mind some of the following factors that may be a guide in your build.